, a classical editor of considerable fame, was born in 1684, but where, or where educated, none of our authorities mention. In 1718 we find him a preacher at the village of Stad aan’t Haringvliet,. in the island of Overflacke, between Holland and Zealand, in which year he published “Tertulliani Apologeticus,” Leyden, 8vo, with a commentary. In 1721 he was appointed professor of Greek in the university of Leyden, and afterwards filled the chair of history and rhetoric. He died in that city, April 25, 1742. He translated many of the writings of the Italian antiquaries into Latin for Vander Aa’s “Thesaurus Italiae,” and for Polenus’s “Sup­.plementa nova utriusque Thesauri Romanarum Grsecarumque Autiquitatum.” His principal separate publicationsare, 1. “Dissert, de Alexandri magni numismate,” | Leyden, 1722, 4to. 2. “Oratio cle actione oratoris, sive corporis eloquentia,” ibid. 1724, 4to. 3. “Series numismatum antiquorum Henr. Adriani a Mark,” 1727, 8vo. 4. “Museum Hilenbroekianum,” without date or place. 5. “Thesaurus Morellian us: familiarum Romanarum numismata,” with a commentary, Amst. fol. 1734. 6. “A History of Asia, Africa, and Europe, from the end of the fabulous ages,” in Dutch, three parts, 1736 39, fol. with plates of coins. 7. “Sylloge scriptorum de pronunciations Grascae Linguae,” Leid. 1736 and 1740. 8. “Reguin et imperatorum Romanorum numismata, ducis Croyiaci, et Arschotani, &c.” Amst. 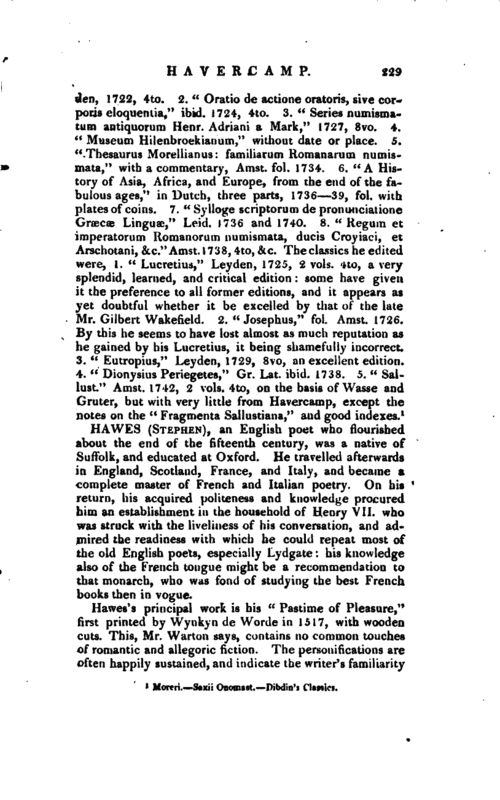 1738, 4to, &c. The classics he edited were, 1. “Lucretius,” Leyden, 1725, 2 vols. 4to, a very splendid, learned, and critical edition some have given it the preference to all former editions, and it appears as yet doubtful whether it be excelled by that of the late Mr. Gilbert Wakefield. 2. “Josephus,” fol. Amst. 1726. By this he seems to have lost almost as much reputation as he gained by his Lucretius, it being shamefully incorrect. 3. 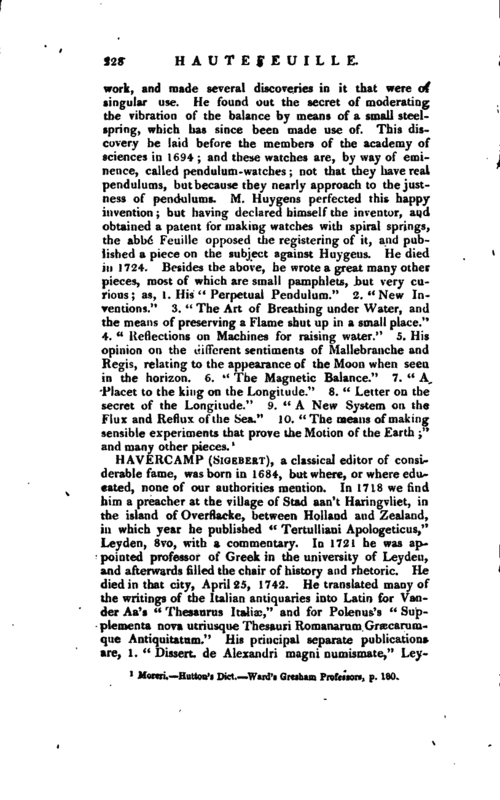 “Eutropius,” Leyden, 1729, 8vo, an excellent edition. Moreri, —Saxii Onomast. Pibdin’s Classics.